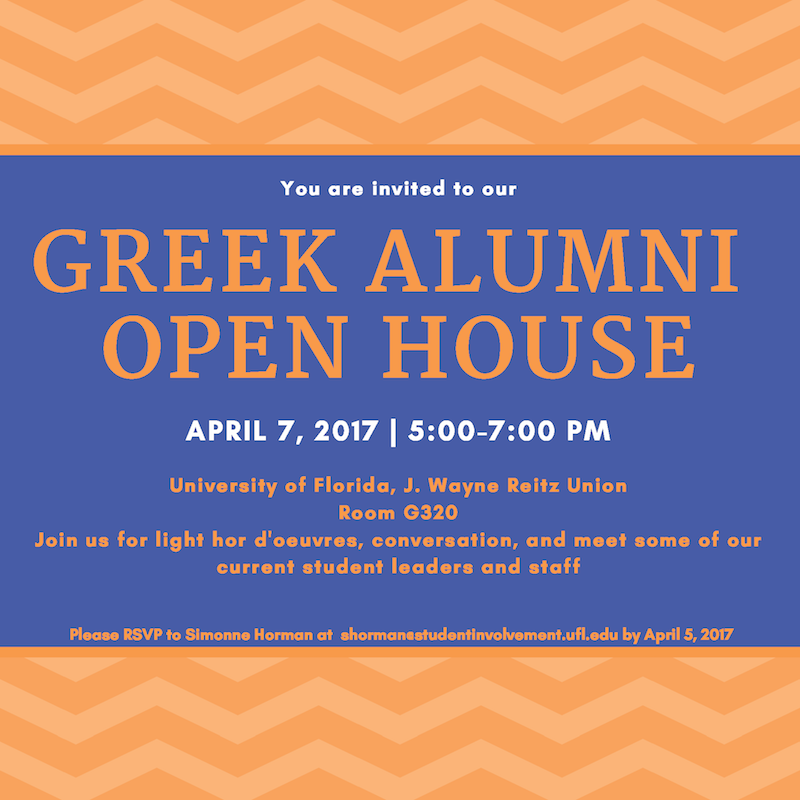 UF Greek Alumni Open House – Alumnae Panhellenic of Tallahassee, Inc. The Office of Sorority and Fraternity Affairs at the University of Florida is excited to be hosting a UF Greek Alumni Open House on the Friday of our Orange and Blue Weekend. The event will be April 7th from 5-7pm in room G320 in the Reitz Union. This is a casual event and we encourage any Greek alumni to come by and reconnect with us! This event will allow alumni to come back, learn about the wonderful things happening within our Greek Community, and take a tour of the Sorority and Fraternity Affairs and Student Activities and Involvement spaces in the new Reitz Union. Light hor d’oeuvres will be served and there will also be door prizes!